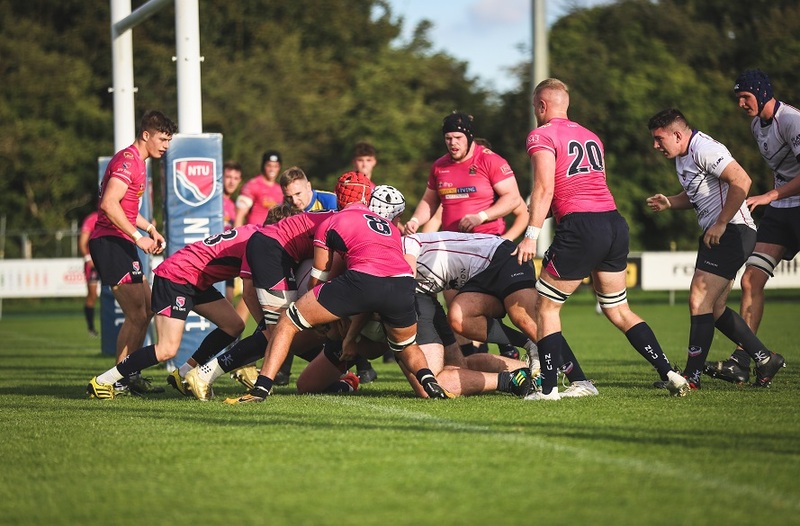 Nottingham Trent University’s men’s Rugby Union first team compete in the BUCS Super Rugby league 18/19. The highest level of competitive University Sport in the country. NTU Rugby Union currently compete in the BUCS Super Rugby league. Established in 2016, the league features the 10 best university teams across the UK in an exciting structure, ensuring the highest quality of rugby every game week. Alongside the BUCS Super Rugby League NTU compete in the BUCS Super Rugby Championship. Every year the 10 best teams compete in the knockout, competition to reach the final held at Twickenham Stadium. The team secured promotion to the BUCS Super League in the 2016/17 season. After winning their north A league. They faced South A champions, University of Bristol in a two-legged play off. Commanding performances over both games ended in an empathic 117-12 aggregate win, securing promotion to BUCS Super Rugby league in style. The team are coached by Alex O’Dowd (Head Coach), who also works at Nottingham Rugby. The partnership with Nottingham Rugby, who currently play in the Green King IPA Championship, is further shown by the many NTU players also in the Nottingham ranks. For the 18/19 season, there will be a large number of NTU Scholars representing both teams, including Will Sutton, Alex Goble, David Williams, Jamie Jack and Ben Davis-Moore, along with Jake Farnworth and Alex Crocker. There are 10 teams in BUCS Super Rugby for the 2018/19 season, so NTU will have 18 league games throughout their campaign, plus BUCS Championship knock-outs towards the latter stages of the season. All home games will be played at Nottingham Rugby’s ground, Lady Bay (NG2 5AA), and will take place on Wednesday or Friday evenings. For a full list of NTU’s fixtures, please see the fixtures and results page. Follow NTU Rugby Union on Twitter and Instagram for updates.